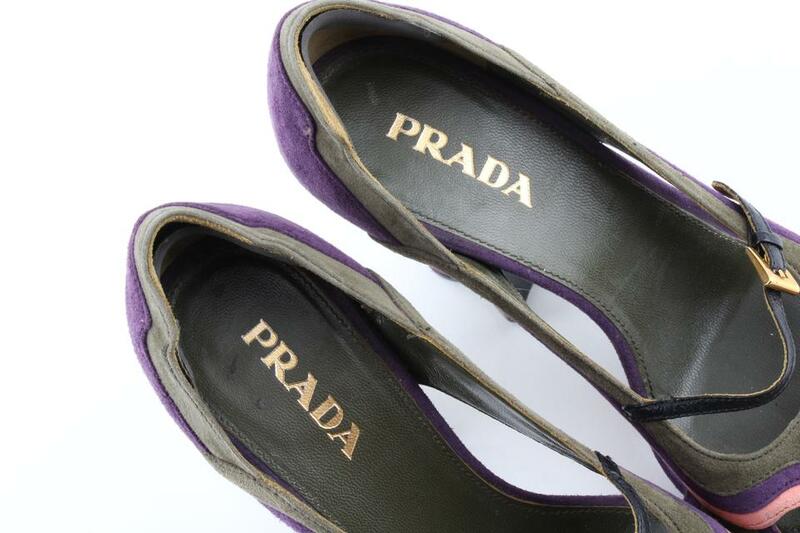 Prada from the Fairy Collection Spring/Summer 2008 green suede leather "Wave" open toe Mary Jane style heels pumps. 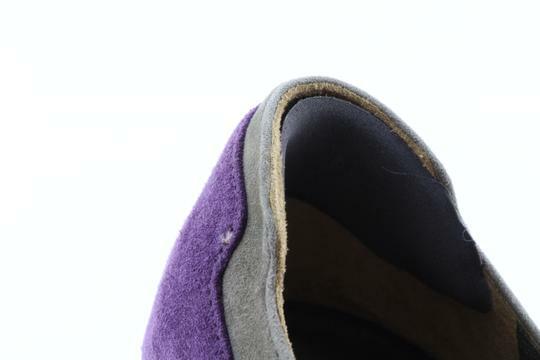 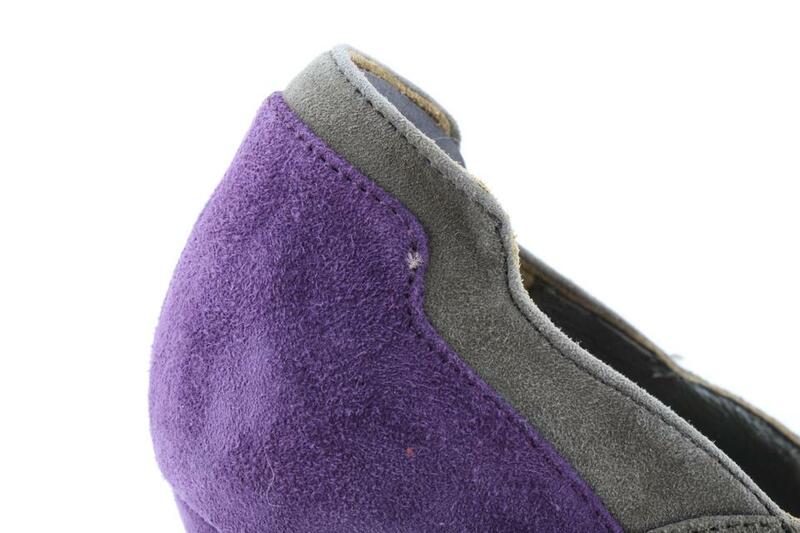 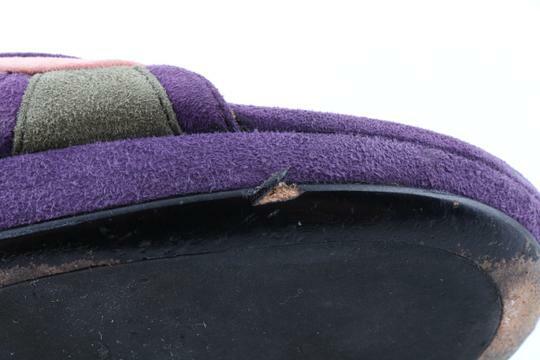 Olive green suede leather upper has slim color-blocks of pink and purple. High, curved chunky heel is color-blocked with green and purple suede leather. 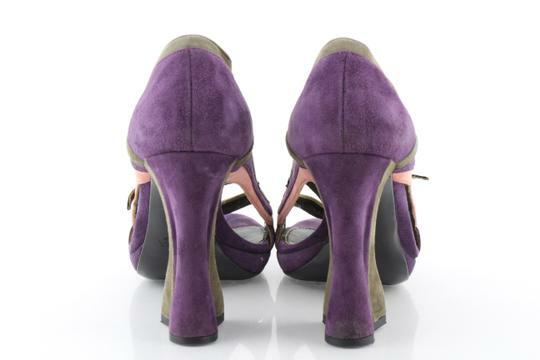 Thin leather mary jane strap with adjustable gold-tone buckle.